I've been to lots of northern towns, cities, suburbs and villages over the years for this blog, but at no point have I written about Manchester, my home city. The reason being I couldn't condense 40 plus years of knowledge into one pithy post. So to get over this hurdle I've developed a new feature - An Insider's Guide to Manchester. Each post will focus on one aspect that Manchester has to offer - good, bad or indifferent. My first post in this series is Manchester Museum. The first time I went to Manchester Museum I was on a school trip with my primary school. The trip has always stuck in my mind as I'd never been to a museum before and never to this part of Manchester which is on the edge of the city centre near the suburbs of Victoria Park, Hulme and Rusholme. 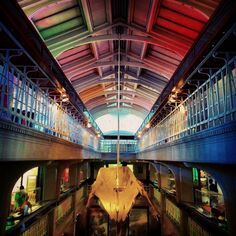 Manchester Museum is part of the University of Manchester and is housed in a wonderful Victorian building that stretches down Oxford Road. I always remember I was meant to complete a worksheet on the trip, but typical me, I got distracted by the building and all the shiny stuff so didn't finish it. Since then, once in a while, I take a trip to the museum for a shot of history and culture. I'd been meaning to go to the Museum's cafe called Cafe Muse for a long time. Finally I got round to it during this summer whilst I was at a loose end. The food was nice (I had a hot roast turkey ciabatta with cranberry sauce), although the cafe was jam-packed with families as it was the summer holidays. Thankfully I found a quiet little spot in an alcove with a couple of foreign students. It's a complete must for museums to have a good cafe these days and this seemed pretty good. The foreign students were having pasta and a salad, which looked really nice too. I made a note to self to try the salad the next time I visit. The museum is housed in a beautiful Victorian building and it is a pleasure to wander through the exhibits. As it was the summer holidays, the museum was geared towards a younger audience with rooms set aside for children's activities. One of the major draws to the museum is the Egyptology section, which is well presented in low light to protect the exhibits. A while ago it was in the news as one of the exhibits kept mysteriously moving in circles. It turns out it had a convex base which made it susceptible to vibrations from the busy road outside. My main reservation is the exhibition of mummified remains. Whilst they are thousands of years old, it's still human remains and I'm really not keen about viewing them. It's just a personal opinion, although the museum does show them with dignity. I really like the main gallery area of the museum as it reminds me of when I first visited as a child with school, when I was too distracted with looking at everything to fill in the worksheet. It has a Victorian feel to this section with the display cabinets and the wrought iron staircase connecting the levels. The only drawback for me with this section are the stuffed animals. Unfortunately I have a longstanding phobia of taxidermy, which stems back to childhood when one of my Mum's cousins used to have a stuffed fox in her hallway which looked really spooky. That said I love the use of neon in this section, which gives the space a contemporary feel and some much needed light. 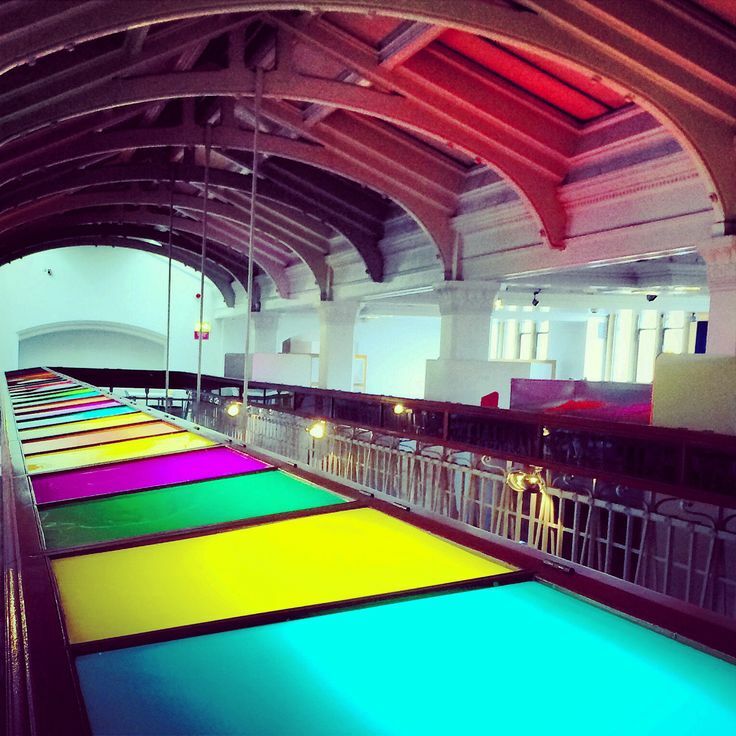 On the top level they have multicoloured light boxes which cast coloured light to the ceiling. I'm a sucker for inventive lighting within buildings. Also in the top level of the gallery there is a picnic areas for families to eat their packed lunches. Whilst I think this is just for the summer, it's a nice touch as the cafe is too expensive for families on a budget. I believe the picnic space will be moving to the basement from September, which will be next to the new lab opening for schools. My favourite exhibition was about the history of Whitworth Park. It was tucked away in a quiet corner of the museum which seemed to be a kid free zone. I was surprised to see this exhibit as it was all about local social history, but I really love this sort of thing as it captures moments in time and you can see how places have evolved. There was a young couple sat down watching one of the films about the park. This echoed how young couples back in the day used to stroll through Whitworth Park as a date location. Manchester Museum is a good cultural day out for families and the museum certainly caters well for them. It's great how museums have a multitude of purposes from educating young people, to a family day out, a daytime date for young couples, a meeting place for friends to have a chat over a coffee and cake, a shot of culture for others and a photo opportunity for photographers. There is no doubt I will go back to the museum and the cafe, although next time I go I'll try to go midweek when the kids are at school, as they kept running into shot when I was taking photos. Bus - It's on one of the busiest bus routes in Europe so getting from the Bus Station at Piccadilly Gardens is so easy. Buses include 42,43,142,143 - plus a whole host of other ones too numerous to mention (see website for details). Parking - Travelling by car is relatively straightforward and the Museum is a short drive from the Mancunian Way/M602 and Princess Park Way (A5103), both of which will eventually connect you to the M60. There are two car parks about 5 minutes walk away - the University's own one on Booth Street West (£3 for 3 hours) or the NCP on Booth Street East (£2.40 for 2 hours). 2 hours free parking can be found slightly further away on the side streets near the Royal Northern College of Music and Manchester Metropolitan University (Rosamond Street West, Higher Chatham Street, Lower Ormond Street, Cavendish Street). If you go on the weekdays when the Universities are open these parking spaces are generally busy, but on the weekend you can take advantage of the single yellow line parking, although check parking signage for restrictions to avoid any parking tickets. Details of opening times and exhibitions can be found on their website - follow link.